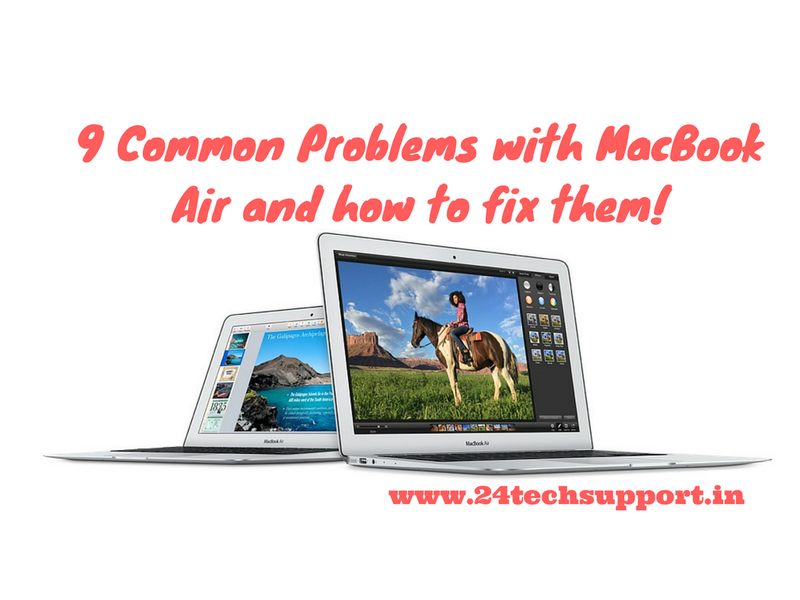 9 Common Problems with MacBook Air and how to fix them! MacBook air is one of the best creations of Apple Inc. Its sleek look, portability and above all usability is quite helpful to the owners. Undoubtedly, MacBook Air is a perfect laptop for all kinds if uses, yet some technical problems are not uncommon. #1. Problem in sound system – Software update can solve the problem immediately. In case problem is solving even after an update, user can try resetting PRAM/NVRAM which is sure to solve the issue. #2.Screen is going blank – Holding the power button for ten seconds or more and then releasing it, and again pressing the power button once can solve the issue. If the problem still exists, it is better to take the machine to any Apple approved laptop repair services. #3.Wi-Fi is not working – User should make sure that all the working software are up-to-date. After that turning off the entire system and then turning on solves the issue in most of the cases. #4.Screen in frozen – At first need to quit the app currently running by ‘Force Quit’ option. Then restarting the system solves the problem. #5. Problems in using AirPrint – Printer should be compatible with MacBook. If that is not an issue, then software update may be required. If the problem still persists, it is better to consult a technician. #6. USB ports are not working – If all the USB ports have become idle, user needs to reset Mac SMC. #7.Battery is draining quickly – Updating the apps solve the issue in most of the cases. If the problem still persists, resetting SMC is required. #8.Machine is overheating – With the help of activity monitor the user can detect the problematic apps that are responsible for overheating. Then, necessary steps like closing down the app or removing it completely may solve the issue. #9.Trackpad not functioning properly – Resetting the PRAM or running Apple Diagnostic may solve the issue. If I am sure the above given information about the Apple Macbook Air Common Problems and Solutions, are beneficial for you and if you get any difficulty solving issue you can get Laptop Repair Services in affordable price for any kind of brand in one place. 24 Tech Support, is one the best laptop repair company gurgaon providing assured service. How can i format a computer and reinstall window?